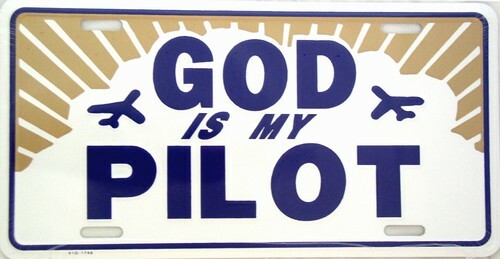 Category Archives: God is my Pilot !! If God is the Co-Pilot ,Swap Seats!! John 2:1 And the third day there was a marriage in Cana of Galilee; and the mother of Jesus was there; and both Jesus and his disciples was invited to the marriage. Do not be amazed by reading the subject because more than an advice, it is a warning message. If I am not trained to fly a flight, I cannot sit on the pilot seat and I must switch the seat with the one who is being trained. Likewise, I cannot steer my life because I am a dust. I don’t know how to steer my life and so I must swap the seat with the one who knows about my life and the one who gave me this life. Jesus said in John 14:6,” I am the way, the truth and the life.” If God is the Co-Pilot, then your life is in danger.You need to swap seats!! Give him the control of your life. Every Christian and non- Christian knows this incident very well about Jesus changing the water into wine. But when the Holy Ghost took me through this miracle, he opened my eyes to see what exactly the text meant and what he really wants to convey to us through this text. As I have already mentioned in my earlier Rhema, that every miracle contains a hidden lesson. It is very important to understand these hidden lessons. Every miracle teaches us something which is so related to our daily life. Here we can see one miracle, but more than that I want to glean out the hidden message which will strengthen us to grow in our spiritual life. I am not against miracle, but if I don’t understand the message behind the miracle, then that miracle is not a miracle for me. This is what happens to many . They are charged up when miracles occur. But since they fail to understand the message behind them, as soon as they get into trials, instead of holding on, they finally go down in faith. God provided bread and water for Elijah near the brook of Kerith in the drought condition, which was a miracle. But he did not put his trust on the raven or on the brook. That’s why he didn’t go weary even when the raven stopped coming and brook dried up. He had got the hidden message of the miracle, that the Lord is a wonderful provider- Jehovah Yireh. Why do we go weary sometimes even though we experience great miracles in our lives? We fail to understand the real message hidden in the miracle, and at last those miracles are not a big deal in our life. There was a wedding in the place called Cana of Galilee. Mother of Jesus was already there, but Jesus and his disciples were invited. Now, the Mother of Jesus was already there which mean she was there from the beginning of the wedding but Jesus was just invited. So the one who is already there has a greater responsibility than the one who is invited, which also means that she had control over the things there, while Jesus was just invited. We also do something like this. We are there in our circumstances. We are completely active in our situations. We steer our life in our own ways and at last end up in a mess …and when we end up in a mess, we invite Jesus into our situations. We then look unto our lives in such a way that we sometimes say like Martha said, “Lord, by this time he stinketh; for he hath been dead four days”. Doesn’t Jesus know that it has already been 4 days? He is in the front of the tomb to raise her dead brother. But she is saying that the case is already stinking and it’s too late for Jesus to do anything. In other words she was pretending that she knows the situation more than Jesus knew. If you have surrendered your life completely unto Jesus, then why do you steer your life? Mother of Jesus was already there, having a control over the situations but remember, God will let you to take the control of your life and then latter on he will let you know that you were wrong. He will allow you to get what you want, and then later on he will let you know that you really don’t need them. Proverbs 14:12 There is a way which seemeth right unto a man, but the ends thereof are the ways of death. We don’t need only the guidance of God in our life. Instead, let us give complete control of our lives to him, just like the lad gave five loaves of bread and 2 fishes to Jesus. He could not increase it but he knew that the one to whom he was giving is able to increase it. Some people approach me for prayer by saying that their situations have not changed since long time. They pray, fast, give etc. …Everything seems to be perfect. Before praying for them, I ask them, “who is steering your life?? Is it you or God?” Some people smile by hearing this question, but some are speechless. For bible says “Trust in the Lord with all your heart, and lean not on your own understanding; in all your ways acknowledge Him, and He shall direct your paths.” (Proverbs 3:5). ”The Lord will guide you continually …” (Isaiah 58:11). Trust me – I have seen God come through time again without fail. There is a saying that many have heard – “God is never late, but He is never early.” This means that God will come in with the breakthrough in His scheduled time – not ours! So give full control to him. Now as we all know, there was shortage of wine in the wedding of Cana. And the mother of Jesus was more concerned about this shortage …the only one reason as to why she was more concerned about it was that she had some sort of control over the wine department. Later on, we can see that she commanded the servants to do what Jesus asked them to do. This proves her control over the situation. Like Mary, we also run unto Jesus when we find shortage in our life, when we fail to clear up the mess and when we are confused. Had we given the full control initially itself in the hands of Jesus, we would never had a shortage in our life. Now let us see how Jesus is dealing with this shortage. When his mother came running, complaining about the shortage, Jesus replied her by calling her “Woman.” Now, right from my childhood, I used to wonder as to why Jesus called his mother ‘WOMAN’, but later on I noticed that Jesus was not only replying to his mother, but actually He was declaring to all ‘WOMEN’ and not to Mary alone. “Woman, what I have to do with thee? Mine hour is not yet come.” In other words he is saying, “What do I have to do with thee, for you never gave me the full control. And now when you are out of wine, you expect me to do the miracle.” Notice the next word “Mine hour is not yet come”. Which is that hour that Jesus is talking about? It is that time when you swap the seat and give the steering into the hands of Jesus. “I cannot perform unless and until you give me the control of your life.” The first thing that Jesus asked Peter was his boat. He needed his boat to fill his empty areas. God needs our life completely. And after hearing this, Mary commanded the servants to do whatever he says. That time, Jesus told the servants to fill the jars. I used to wonder as to when there were many good jars in that house, why did god choose the 6 empty jars? It is because; only those empty jars were available. How can god make his home in us? How can be Jesus manifest through us? First, you need to give complete control of your life to Jesus. Second, you must keep his word and act accordingly. And third, you must be available when he calls you. The servants filled the Jars till the brim. Now these Jars are used for cleansing purpose. History of Israel says that one could never fill these Jars till the brim. This was because, since the water in these jars were used for cleaning purpose and were kept outside the house, animals or birds often spoiled the water. For that reason, some holes were made just beneath the mouth of the jar so that, when servants drew water from well, they could not fill the jar till the brim. But when Jesus commanded them to fill the water pots, I believe that before filling the jars with water, these servants must have filled those holes. That’s why the jars were filled and that’s why Christ Jesus did a miracle over there. Why Jesus took till the Forth watch and command the wind and waves to be still ? because the disciples were trying their luck till third watch,after all their trying Jesus came and commanded the winds and waves to be still. Dear Reader are you still steering your life? and trying all sort of things by your own? Today is time.Give full control to Christ Jesus. God will do a miracle in our lives, but before that we need to do certain things. We need to give our lives completely unto him – Not partially but completely. After that we need to heed his word and act accordingly. We must be available for his work and we must fill those gaps in our life which is hindering the work of God. Check yourself, if God is the Co-pilot or the pilot of your life. 1 Comment	| posted in God is my Pilot ! !